​"Discover what K2-7 can do for you!" 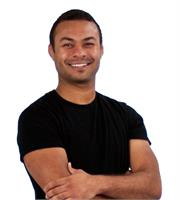 ​How can Vitamin K2 better lives? Over 40 published studies have demonstrated the important roleof vitamin K2 against cancer. Vitamin K2 has been shown to induce apoptosis (cell death) in vitro with leukemia cells, and lower the risk of prostate and liver cancer. The EPIC-Heidelbergstudy on K2 supplementation and prostate cancer (24,340 subjects) found an inverse association between the intake of menaquinones and prostate cancer. Vitamin K2 was also calculated to reduce prostate cancer incidence by 30%. In a study in the Journal of the American Medical Association, patients infected with hepatitis B or C (and therefore at much greater risk for developing liver cancer) were given a K2 supplement. Less than 10% of those given the supplement developed liver cancer, whereas the placebo group developed cancer at an astonishing rate of 47%. Vitamin K2 is responsible for activating osteocalcin, the most abundant noncollagenous protein of the bone matrix. Recent animal studies indicate that osteocalcin “increases insulin secretion and sensitivity, lowers blood glucose, and decreases visceral fat in both genders, while it enhances testosterone production by the testes in males.” More research is needed to fully establish the endocrine role of osteocalcin, but these preliminary findings suggest that vitamin K2 can play a significant role in the management of diabetes. Vitamin K intake appears to affect diabetes by improving diabetes-related inflammatory markers, reducing diabetes risk and controlling the symptoms of type II diabetes. A longitudinal study of over 500 participants found that dietary phylloquinone (K1) intake was associated with an improvement of cytokines and other markers related to insulin resistance and diabetes. This finding further supports the use of vitamin K supplementation in the treatment of other chronic disease states. Vitamin K intake also directly impacts the risk of developing diabetes. A study with older adults at high risk for cardiovascular disease found that vitamin K intake reduced the risk of developing type II diabetes by 17% for every 100 micrograms of vitamin K consumed per day. Moreover, subjects who increased their intake of vitamin K1 during the follow-up has a 51% reduced risk of diabetes compared to those who decreased or did not change their intake. However, supplementation of vitamin K2 appears to be even stronger and more effective, reducing the risk of type II diabetes by 7% for each 10-microgram increase in vitamin K2 intake. Lastly, vitamin K intake appears to reduce the effects of diabetes. One study found that vitamin K2 supplementation was capable of preventing hyperglycemia in diabetic rats. Human studies of vitamin K demonstrate that both K1 and K2 are effective in reducing the effects of type II diabetes. In 2008, a study of older, non-diabetic men found that 36 months of supplementation with 500 micrograms/day of phylloquinine (K1) was enough to significantly reduce insulin resistance when compared with controls. 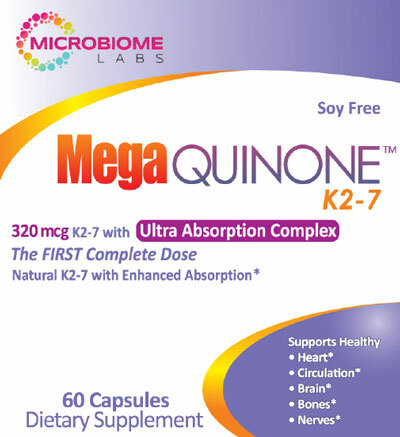 An additional study of healthy young men noted an improvement in insulin sensitivity after only 4 weeks of supplementation with 30 mg of menaquinone (K2) three times a day. ​There are many published clinical studies showing that vitamin K2 halts bone mineral density loss. This is a huge benefit for people with osteopenia and osteoporosis. In fact, supplemental K2 became a first-tier treatment in Japan for osteoporosis. 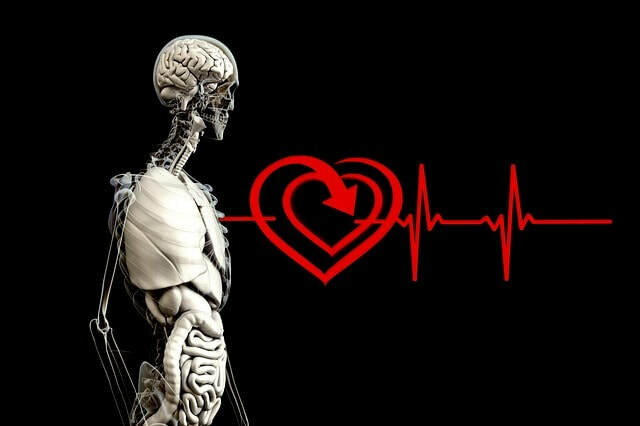 K2 is an essential co-factor in the activation of Gla proteins in the bone (osteocalcin) and blood vessels (matrix Gla-protein) which means that K2 is directly responsible for ensuring that calcium in the diet is deposited safely in the bones and not in the blood vessels. Without adequate K2, osteocalin remains inactive and calcium is not directed to create stronger bones. ​Avoid synthetic K2 imposters at all costs, as these act very differently in the body. Choose only a natural sourced, non-soy K2 supplement. 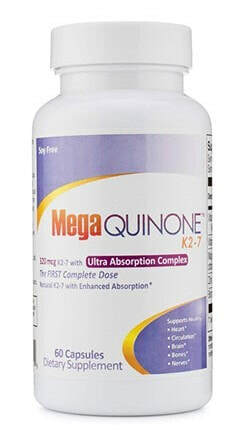 ​Why choose MegaQuinone K2-7 ? MenaquinGold® is produced in a pharmaceutical qualified, dedicated facility and is regularly tested by FDA-approved laboratories. MenaquinGold® is produced through fermentation of Bacillus Subtilis, and does not contain any soy products. This is the same K2 vitamin that is found in natto. MenaquinGold® has demonstrated the highest degree of stability, quality and safety. Our research into the sources of vitamin K2 in the market place revealed a number of sub-standard products.